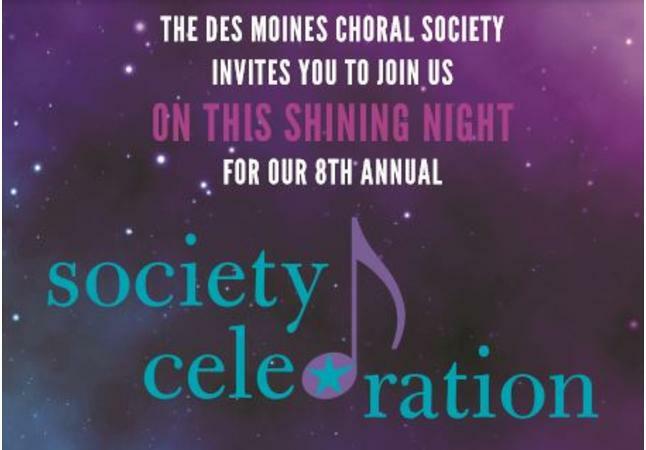 The Des Moines Choral Society invites you to join us for our 8th annual Society Celebration: On This Shining Night, Saturday, May 4th. 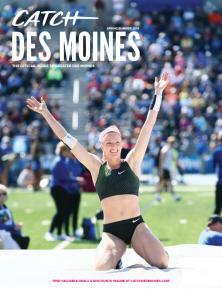 Mingle with friends while enjoying hors d'oeuvres and two complimentary cocktails under the starry lights of the Iowa Events Center's Grand Ballroom, take a chance at winning a premium bottle of wine at the ring toss, vote to make sure your favorite celebrity singer takes home the trophy and more! We have many great items to bid on in our live and silent auctions. 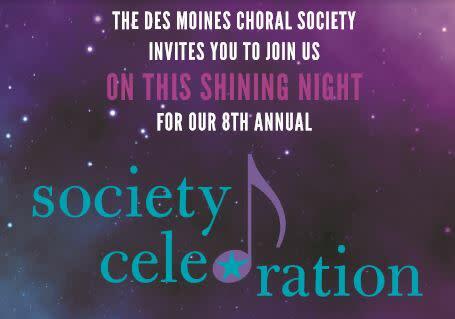 Visit www.dmchoral.org for more information and to purchase tickets.